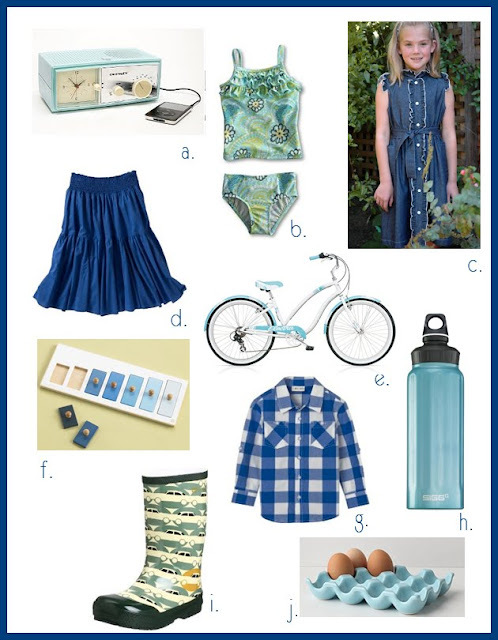 Tangled and True: color week: BLUE! Let's hear your blue picks! I'm also loving those toddler boots. So sweet. oh my goodness, that does look so cute on your daughter as well! i love that blue egg carton. when we had the chickens i really wanted a ceramic egg carton. I'll take that blue egg crate! I love it! I just ordered a bunch of lands end suits for my girls. love that ruffle detail on the top! they are having a sale on suits/free shipping right now... promo code MARCH30, pin 8092.
thanks e! i will for sure be ordering some.